It´s been a really busy and successful week for our team in Munich. 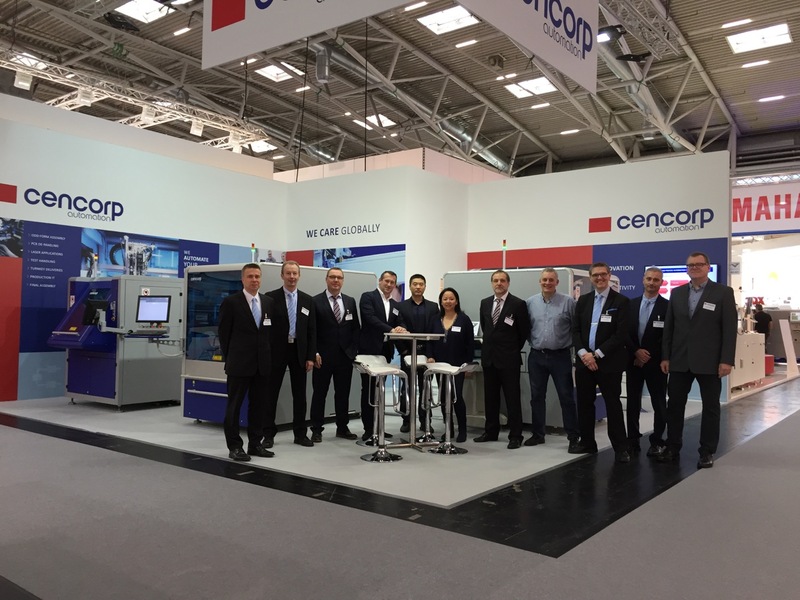 The interest towards latest Cencorp innovative automation products has been immense. We have been happy to demonstrate our portfolio of 1500 Odd-Form, 1300SAW, 1300SR Off-Line Router and 300 LM Laser Marking Unit. It´s been a pleasure to have interesting discussions around the future of productivity and the new customer needs. We want to thank you all for visiting our stand and sharing your thoughts with us. Wishing you all happy landings – and see you next year again! Cencorp Automation is one of the leading process automation solution providers in the world. We employ over 100 professionals in Finland, USA, Germany, France and China.